David is the business owner and Director at Harcourts Mascot- he possesses a decade of experience in sales and marketing, majority of which was obtained in real estate and property services. He has extensive knowledge and experience; diversified in new and existing commercial and residential sales as well as construction and project marketing. With an educational background in Psychology, Philosophy and Linguistics, his strengths are found in his ability to assess, understand and systematically adapt to various scenarios; ensuring that his clients objectives are met. Apart from being a property enthusiast, David is also a registered Justice of the Peace and Polyglot; able to communicate in Cantonese, Mandarin, Vietnamese and Cambodian. Advantageously his skill set has allowed him to deal with clients both on a local and international level. Diligent and efficient as he is, David's knowledge and passion for people and property makes him the ideal candidate for the Mascot and surrounding area specialist. Ashley has had a long time interest in real estate that developed many years ago from his parents own keen interests in real estate. With over a decade of experience in Operational Management that has come primarily from the logistics industry; Ashley's strengths are found in his ability to lead, communicate, analyse and consistently deliver results – ensuring a quality customer service experience. Ashley is excited to be able to transfer his skills into real estate and to be able to help people in any way possible with some of the biggest decisions of their lives. Luis has a Post-graduate degree in International Relations from the University of Sydney with a degree in Business Studies. He was awarded as the most outstanding student of the year. His notable leadership skills have placed him in different management roles, where he mentored and created positive relationships and impacts in people's lives. As a property specialist he constantly follows the property market by placing strong attention in different sectors that influence the market. Additionally, he is perfectly capable in delivering desired solutions for his clients by giving them multiple creative marketing solutions to choose from. 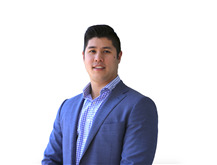 Luis enjoys orientating people about the property market and rejoices when he helps people find their first home and when he helps investors make important decisions for creating or expanding their investment portfolio.